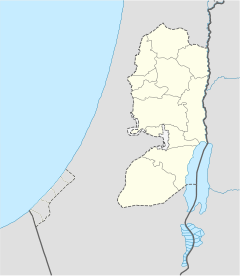 Coordinates: 31°52′27″N 35°32′27″E﻿ / ﻿31.87417°N 35.54083°E﻿ / 31.87417; 35.54083 The Allenby Bridge (Hebrew: גשר אלנבי‎ Gesher Allenby), also known as the King Hussein Bridge (Arabic: جسر الملك حسين‎ Jisr al-Malek Hussein), is a bridge that crosses the Jordan River near the city of Jericho, and connects the West Bank with Jordan. The bridge is currently the sole designated exit/entry point for West Bank Palestinians traveling abroad. The original bridge was built in 1918 over a remnant of an old Ottoman colonial era bridge by the British general Edmund Allenby. 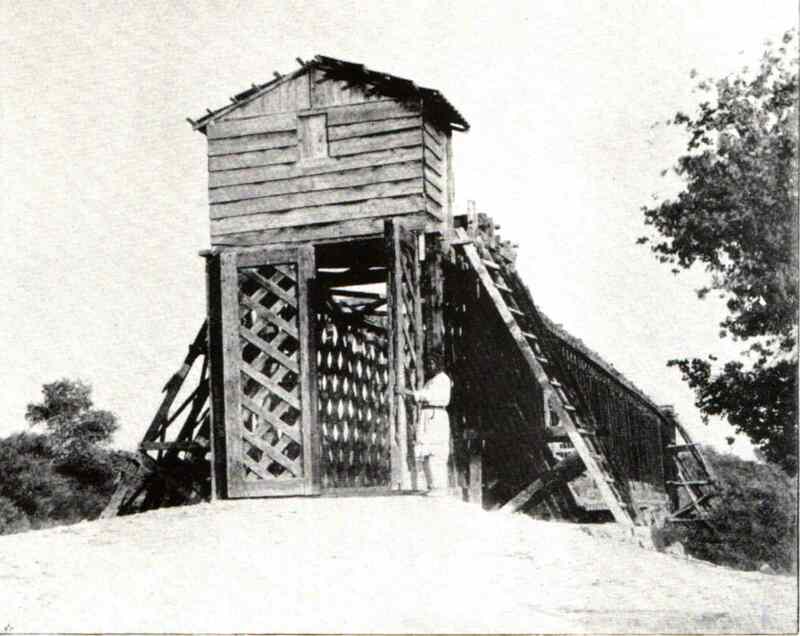 The original bridge had been built in 1885 by the Ottoman government of the Mutasarrifate of Jerusalem. It was first destroyed in the Night of the bridges operation by Palmach on 16 June 1946, thus severing one of the main overland connections between Mandatory Palestine and Transjordan. It was destroyed again during the Six-Day War, but was replaced in 1968 with a temporary truss-type bridge. This bridge is still called the Allenby Bridge by Israelis; and it is also known as Al-Karameh Bridge to Palestinian Arabs, and the King Hussein Bridge to Jordanians. In 1994, subsequent to the Israel-Jordan peace treaty, a new modern paved crossing was constructed adjacent to the older wooden one with the aid of the Japanese Government. Since the 1994 Israel–Jordan peace treaty, the Allenby Bridge Terminal is operated by the Israel Airports Authority. It serves as a border crossing between the West and East Banks of the Jordan River. The Jordanian authorities recognize the bridge as an international border entry point, but neither grant entry visas to foreign passport holders at this crossing, unlike the country's other border crossings with Israel, nor stamp the passports of departing travelers. Palestinians traveling abroad can use Allenby Bridge to exit the West Bank into Jordan and then use the Queen Alia International Airport in Amman to fly abroad. Travel permits from both Israeli and Jordanian authorities are required, with varied stringency depending on the prevailing political situation. Israeli citizens are not permitted to use the terminal, except pilgrims to Mecca, the Hajj and Omra. Tourists who wish to travel to Jordan may have to be in possession of a visa from Jordan in advance, depending on their nationality. Tourists and inhabitants of East Jerusalem may travel directly to an Israeli terminal, although Palestinians from the West Bank have to start the departure procedure at the special Palestinian border terminal in Jericho city. The Jordanian side of the bridge has a branch of the Bank of Jordan for the exchange of currencies. The Allenby crossing is the locus of a 1971 song by Nurit Hirsh, Gesher Bailey (Bailey bridge - referring to the temporary truss bridge). ^ Irving, Sarah (2012). Palestine. Bradt Travel Guides. p. 30. ISBN 9781841623672. Retrieved September 14, 2015. ^ Walker, Jenny; Clammer, Paul (2015). Lonely Planet Jordan. Lonely Planet. p. 730. ISBN 9781743605462. Retrieved September 15, 2015. ^ "Bank of Jordan פתח סניף בגשר אלנבי" (in Hebrew). Port2Port. 2008-07-24. Archived from the original on 2008-08-02. Retrieved 2008-07-25. Wikimedia Commons has media related to Allenby Bridge.